Nguyen Ahn’s Success Story is all about the importance of team work, be it in the form of his friends who lent him financial aid at the very onset of his online career, or the dedicated team that he mentors today. He strongly insists on forstering a community spirit in order to achieve professional goals. Read on to find out how he did this! Hi Nguyen! How did you start your business at Teezily? I finished my studies in 2013 and started a fulltime job, but it was not interesting or motivational. I always dreamt of having my own business and continuously looked for ideas and resources. As online business seemed more suitable for my capacity, since 2015 I started trying out a lot of ways to MMO (Make Money Online). The turning point was when I was introduced to T-shirt-marketing by a friend. I felt immediately drawn towards the idea and spent the entire night reading about it. By the next day I had decided to put all my efforts and determination to succeed in this business. What kind of challenges did you face while trying to develop your business? After the 3 first months of launching my campaigns and of advertising, all I earned were losses but I gained enormously in terms of experience. I strongly believe that all great things start from small beginnings, although the hardship was much more difficult than I had thought. I had strong pressure from my family, who did not fully understand online business and preferred the conventional 9-to- 5 jobs. Lack of money to invest in Facebook ads was also a big problem for me. Luckily, I always had my friends who were by my side and gave me valuable financial aid. I also made some new friends in the T-shirt business and together we worked and learned, gained more experiences and aimed for success. At the moment, I am not only responsible for organizing my own work, but also that of my team. I live by the proverb: “If you want to go fast, go alone. If you want to go far, go together.” In order to get the whole team to give their best, motivation is the most important factor. While everyone in the team has his/her own specialized tasks, we all should have the same result-oriented mind. We decide on a general goal and plan how each person can contribute towards the fulfillment of that vision. I then work on the details of daily and weekly plans, such as launching campaigns, researching the target audience, launching ads, gathering and analyzing data, and looking for new ideas. I keep myself up-to-date by following a lot of online sources, especially those related to my niches. I pay a lot of attention to the information that gets strong reactions on social media. Having the mindset of a T-shirt marketer is very essential. When I come across a funny quote or a provocative image, I immediately think of how it would look like on a shirt, what kind of people would like it and how the audience would react to it. I then note it down and discuss with my designer to turn the ideas into beautiful designs. Can you tell us the advantages of targeting such an active market as the United States? The American market is for sure the biggest e-commerce market, especially for this business as t-shirt is a part of their culture. It is quite easy for them to come to decision to buy, provided the shirt is correctly targeted to show their emotions, passions, or views that they support. They usually buy in large groups and share the campaign with their community, therefore campaigns in the US can reach incredibly high sales figures. However, as many marketers are targeting this market, competition is always intense. Customers are exposed to thousands of online advertisements every day. If your ideas don’t stand out, you are wasting both time and money. I am still training people in my team and our goal is to get every individual to be the best. I would also like to expand my business to Shopify and to build up my personal brand. 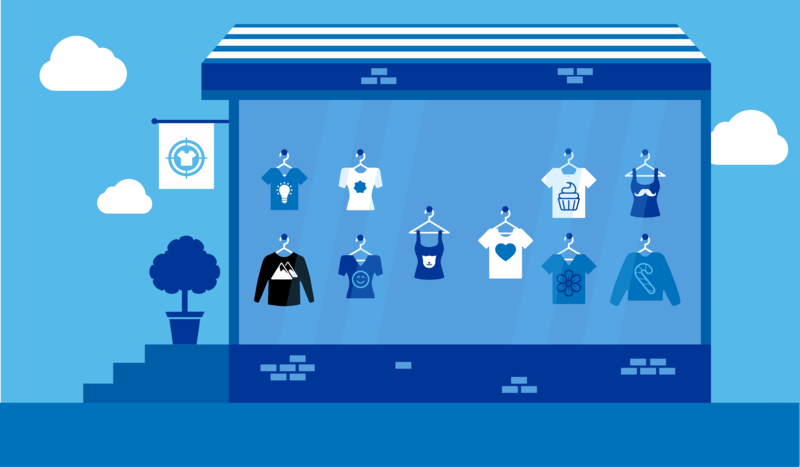 What do you think about the future of online t-shirt marketing? I think it is a business with a lot of potential, but it is also one with fierce competition. Only those with great determination and commitment to the job can achieve success. Do you have any suggestions for our team?